The school year is almost over and the mountain of marking has not been whittled away to a reasonable sized pile. Let me tell you, nothing kills creativity like grading a few hundred undergraduate essays. So, I have been relying on other people to do the culinary thinking for me. 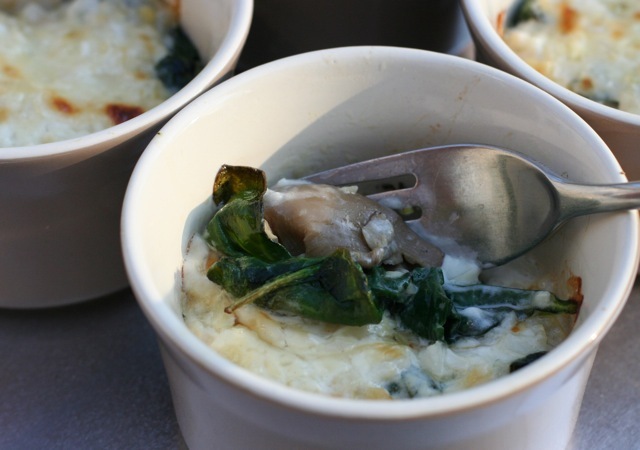 The first two recipes come from the recent issue of Vegetarian Times. I've never really looked at VT before, but when the kids came home selling magazine subscriptions as a school fundraiser I decided to give it a whirl (it was the only veggie option in the whole lot). 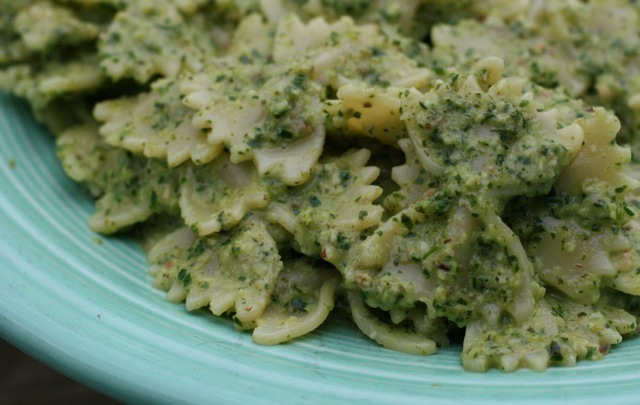 First up: broccoli pesto. Amazing! The mint gives it a little bite and the hazelnuts are a nice change from walnuts. Second up: Oyster Mushroom Rockefeller. This is from a section of recipes by the owners of Horizons in Philly. I made this for Easter Dinner with my family, and everyone enjoyed it, vegan or otherwise. The sauce is really rich (hence naming it after Rockefeller) but perfect for a special occasion when you need to bring a vegan entree to a dinner party. An added bonus is that you can make and bake it in about 30 mins. Lucky for you, VT has a digital edition of this issue online. Third: biscuits from Peter Reinhart's Artisan Breads Everyday. 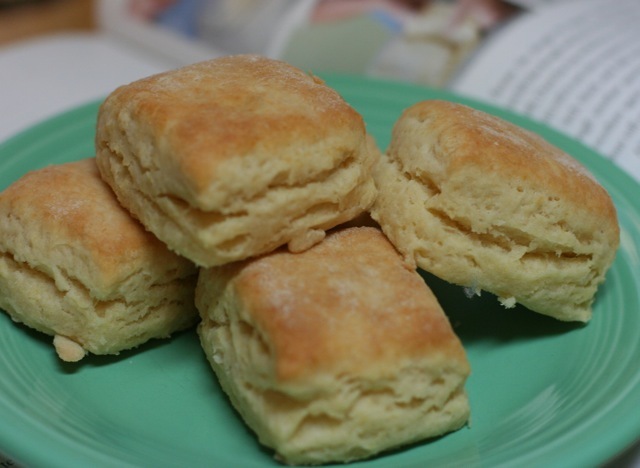 He claims they are the best biscuits ever, and he is right. You start with a soft dough (almost a batter), then turn and fold it 4 times whilst heavily dusting with flour. Like puff pastry, this results in a laminated dough that rises high and fluffy in the oven. Lastly, I made the beer-battered onion rings from American Vegan Kitchen. I know I shouldn't have, but I did. 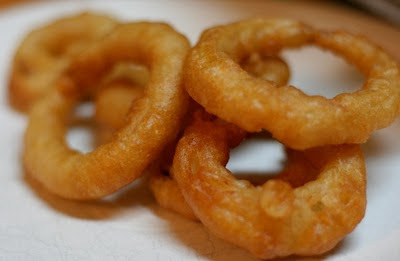 I have not had an onion ring in a decade or more, and these are the best I have ever had by far.